Keep reading below to find out when to use sage vs. Palo Santo. 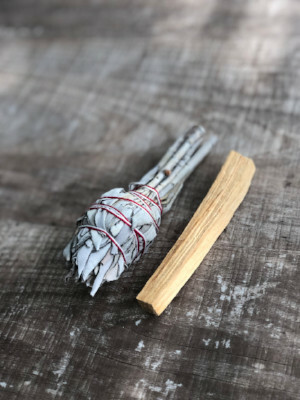 Clear negative energies from your environment with either the Palo Santo Stick or California White Sage smudge to restore harmony and peace. 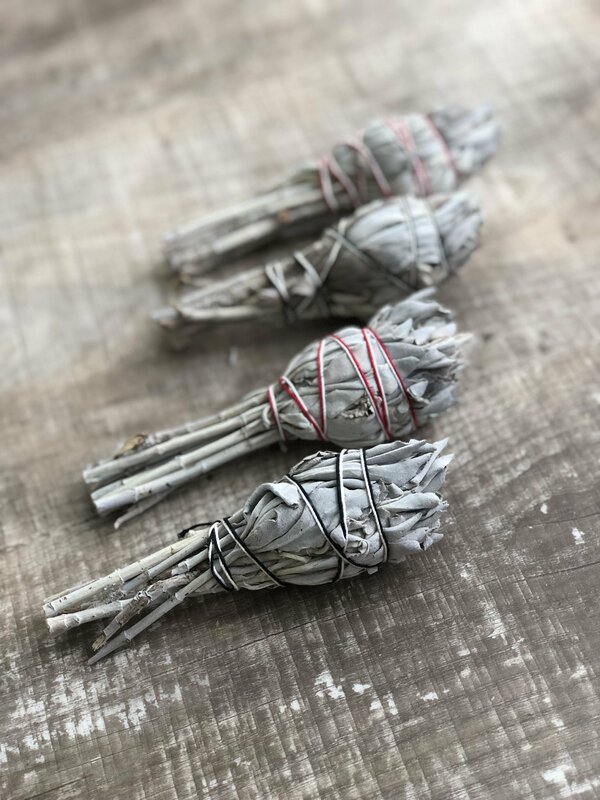 Smudge sticks make excellent gifts for people in transition. Q: When Should I Sage? A: Saging clears all energy and is awesome for deep cleanings and fresh starts. It's always good to sagewhen you have been out all day, during a full moon and new moon. If you just moved, started a new job, a new relationship, or bring new things into a house. Tip: I like to sage anytime I stay in a hotel overnight. 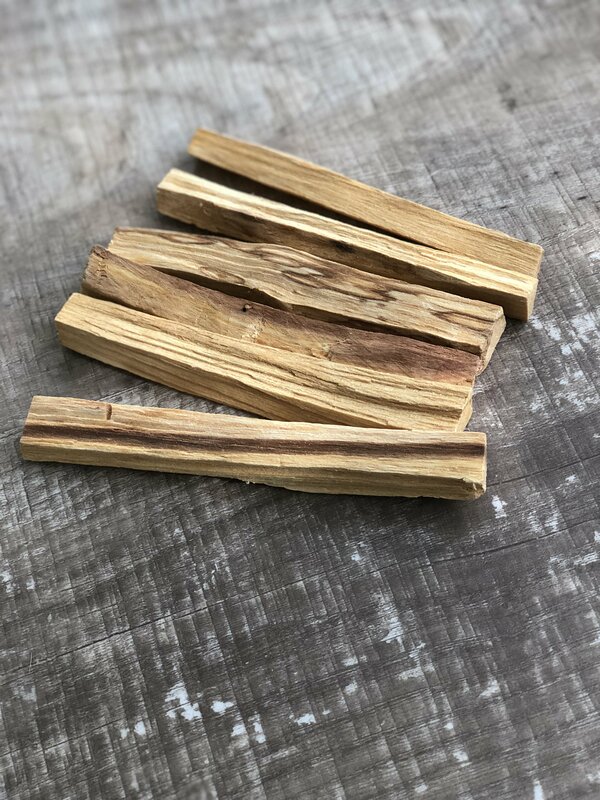 A: Palo Santo is good for every day since it preserves the good vibes you created and just wards off the bad juju. It's kinda like splashing water in your face in the morning while Sage is like taking a deep bubble bath. 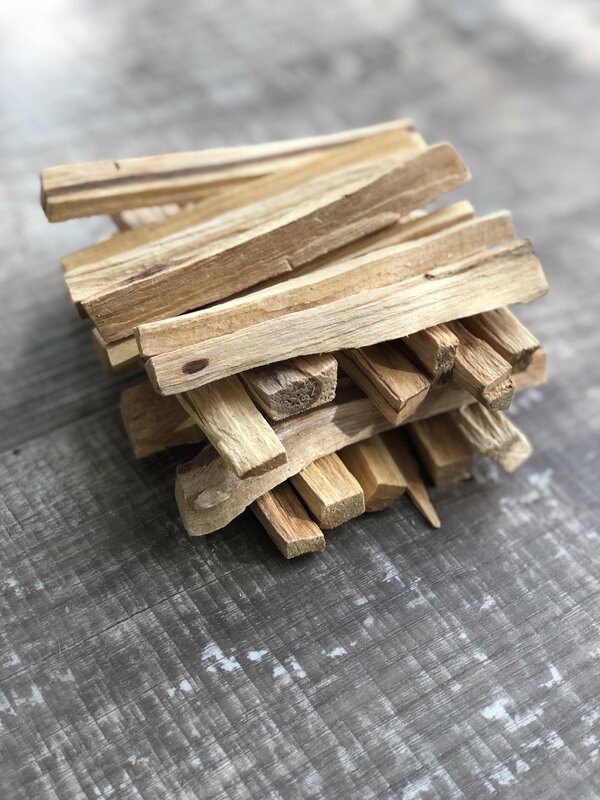 Palo Santo is a happy uplifting scent which you'll notice the difference once you bring both into your routine. Burn one in the morning or evening or both. A: Light a sage or Palo Santo stick and trace your body's silhouette starting at the crown of the head all the way to the soles of your feet and then move the stick back up. You can repeat as many times as needed.